Soundboxes containing artificial neurons will be placed around the UK. We´ve all got little music projects that we want to get off the ground, but The Fragmented Orchestra is surely more ambitious than most. Devised by sound artist Jane Grant, physicist John Matthias and composer Nick Ryan, this has won the PRS Foundation´s New Music Award 2008, and as such will be subsidised by a £50,000 grant. 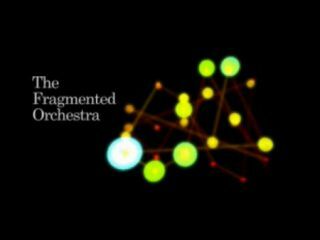 A composition that´s designed to mirror the function of the human brain, The Fragmented Orchestra will be powered by 24 ‘soundboxes´ that are set to be positioned at various locations around the UK. These will include a football stadium, a cathedral, a school playground and a field. Each soundbox will contain an artificial neuron that´s modelled on those that fire the human brain´s cortex. These will be attached to resonant surfaces, while tiny microphones will capture the sounds, both human and ‘natural´. Now, this is where it gets really complicated: as the neurons are stimulated, they´ll select audio fragments to stream between them via an invisible network. All of the sounds will then be streamed to FACT (Foundation for Art and Creative Technology) in Liverpool, where visitors will be able to hear the sounds and experience the way that they interact. The ‘music´ will also be audible at each of the 24 soundbox sites and online. You can find out more at the PRS Foundation website; presumably, a dedicated Fragmented Orchestra page will be set up soon. In the meantime, you can watch a video that explains what the project is all about.